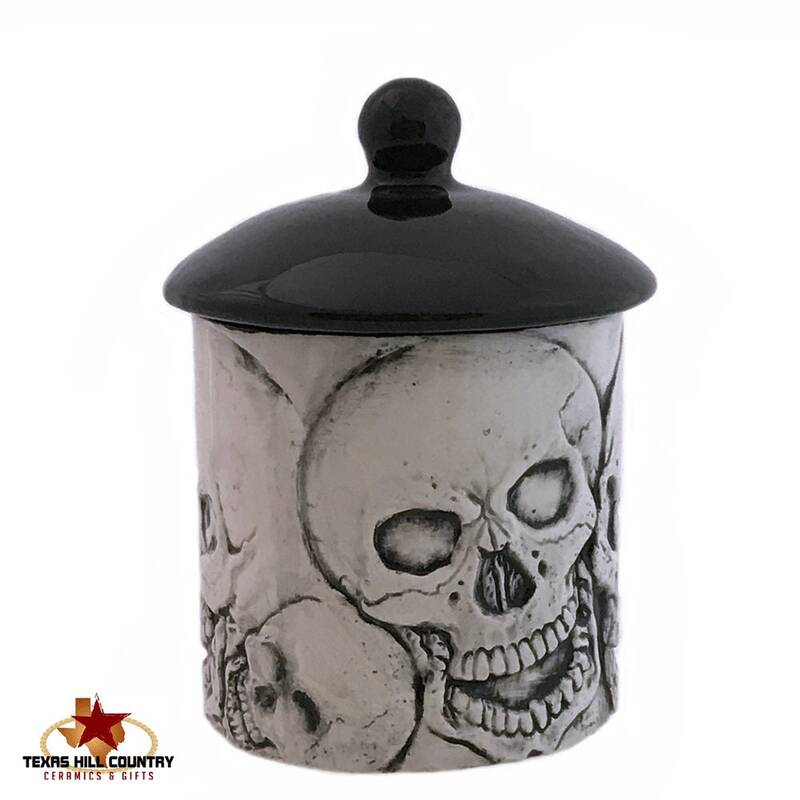 This small antique black Skull Container and Lid is embossed with a skull design that is highlighted in black. 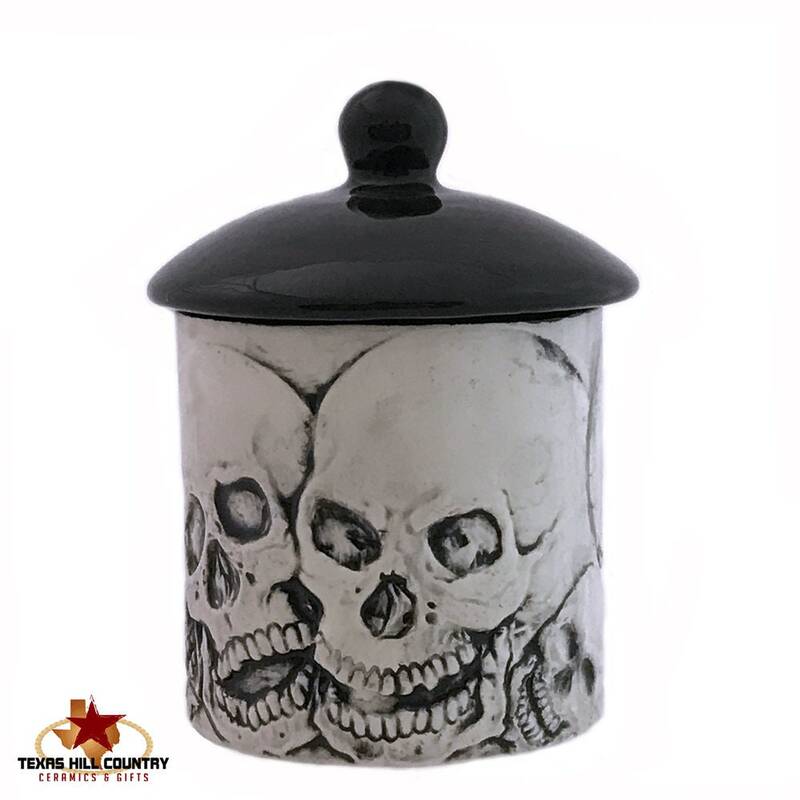 This canister is great for the kitchen, it is ideal as a sugar bowl, to hold tea bags, sweetener packets or something special. 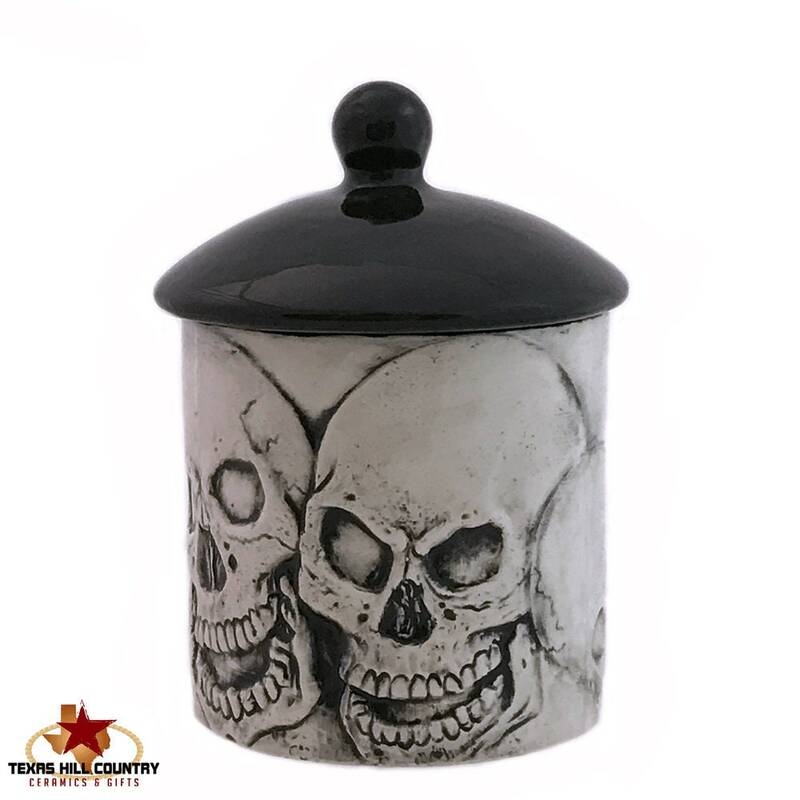 It is also great for keeping your Halloween candy stash safe! This canister can be used in the bathroom on the vanity to hold cotton balls, first aid bandage's, hair bands, your imagination is the limit. 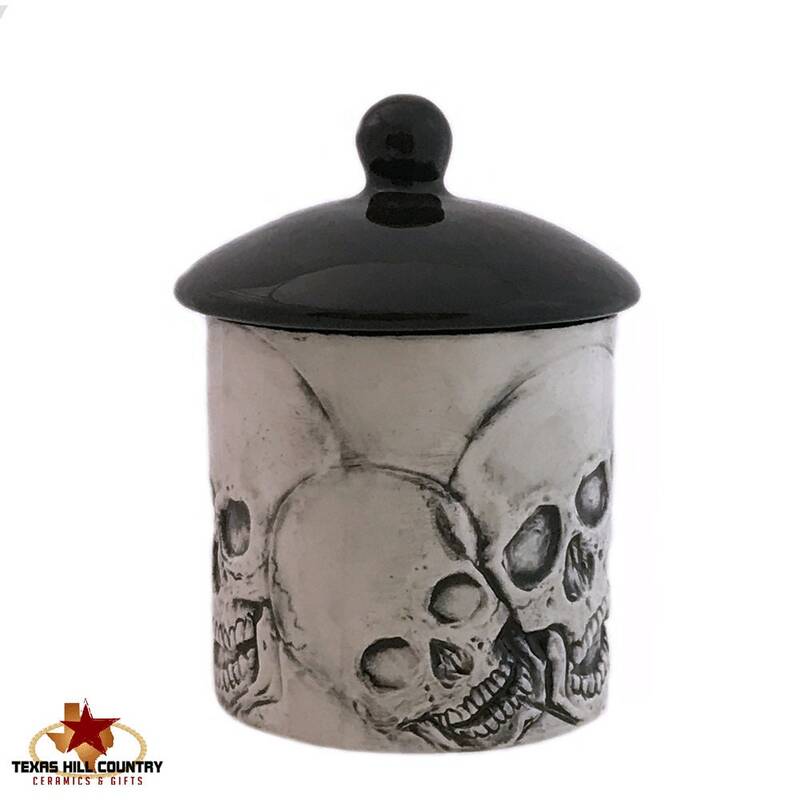 The skulls on the container differ in size and position, there are 6 total. 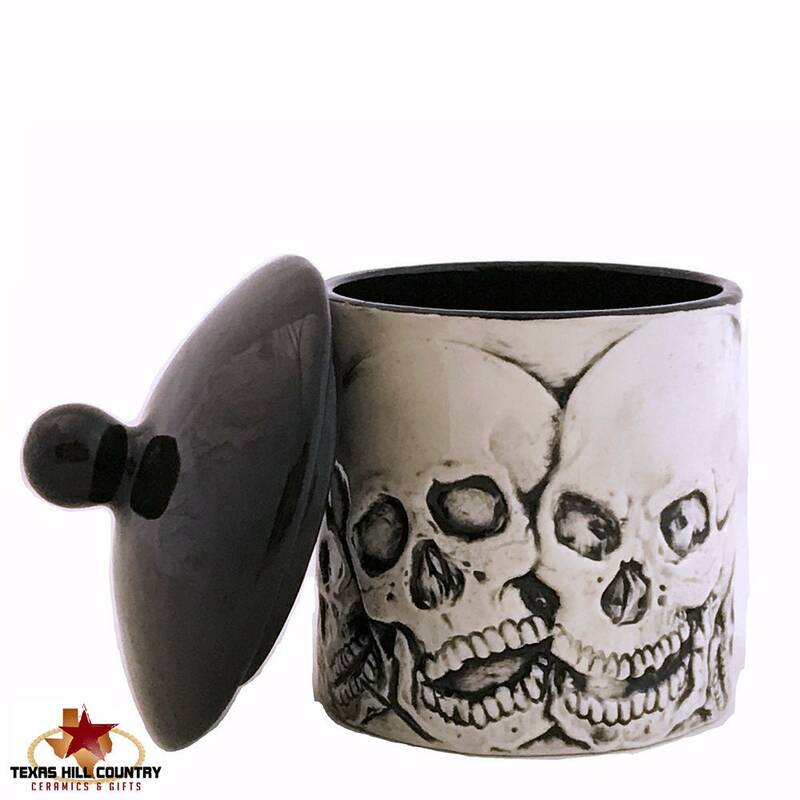 The skulls are around the entire container giving some dimension to the piece. The container and lid are made of domestic ceramic slip. Each piece is kiln fired to utility use bisque and finished with kiln fired lead free glaze. Each piece is dishwasher safe. I am well pleased with this skull canister. It looks great! The store owner kept me informed. It was shipped quickly and everything was packaged well together. Thanks!